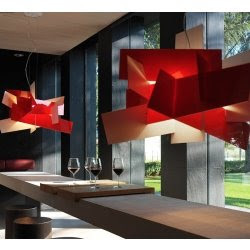 Foscarini is one of my favorite lighting lines and I have had my eye on this pendant in particular. The big bang is available in suspension, ceiling, and wall fixtures in 3 colors: bianco (white), rosso (red) and gringo (grey). 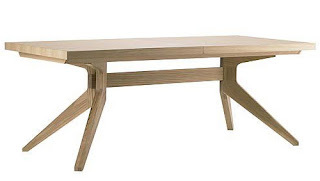 I love the lines of the cross extension table from DWR. 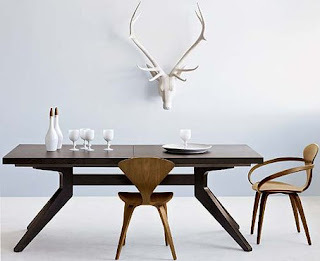 I can see putting any modern chair around this dining table and it looking fantastic. Have a happy Monday morning and here's a little eye candy for you! 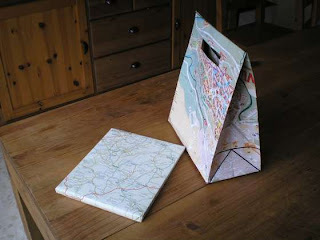 Here is a great DIY project that involves recycling old maps into gift bags via instructables. I would like to carry my little lunch in it as well. Check out the link for more concise step by steps instructions. 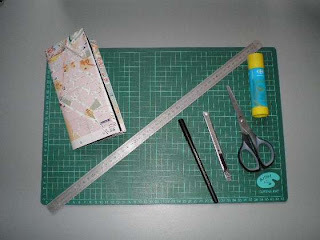 You will need:1 - An old tourist map (those that are folded).2 - A rule.3 - A pencil or marker.4 - A scissors and a cutter.5 - Glue for paper.6 - A cutting mat.The tourist map must be folded at least in six parts. The size of the bag will be 2 parts per 1. 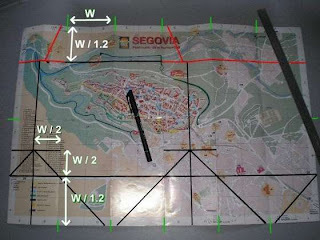 Measure the width of one part of the map (W) and mark it as showed. The black lines shows you where to fold and the red ones where tu cut. The green marks are the original folding parts of the map. Notice that I made black and red lines for showing purpose. You will get a better result just marking points or using a soft pencil.In my example, W = 10 cm., so W / 2 = 5 cm. and W / 1.2 = 8 cm. aprox.Cut on red lines (and save the big piece for the next step).Fold on black lines. 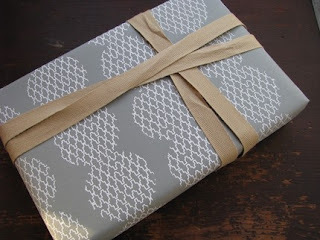 I recommend you to score the black lines using the scissors and then fold paper easily. 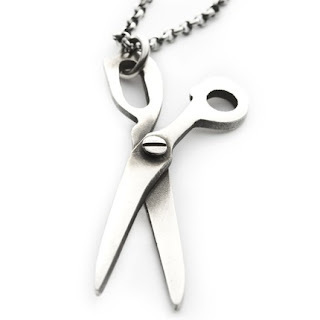 Take the longest piece cutted in previous step and cut it in a half lengthwise. 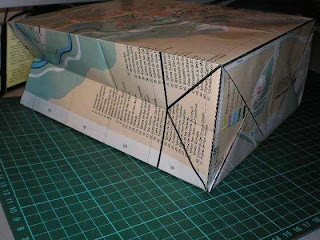 Glue it to the right side of the map, use the scissors again and fold it, and glue with the left side of the map. Be carefully to leave the beautiful side of the map outside. Now you have closed the bag vertically.Then just close the bottom of the bag, folding and gluing it all as shown. 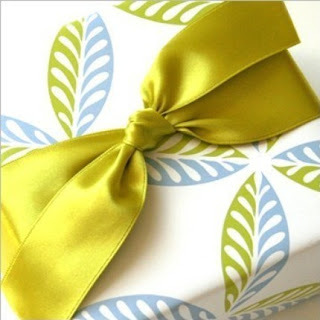 Close the flap and flatten the bag. Now mark the handle centered in the flap: red lines to cut, black ones to fold. A good size for it is less than W / 1.2 for length, and 2 cm. or so on for width.When cutting, notice that you are cutting three layers at the same time: both sides of the bag and the flap.Fold and glue inwards each of six parts of the handle: this will make it stronger.Finally, open the flap and make small cuts to help open/close operation. 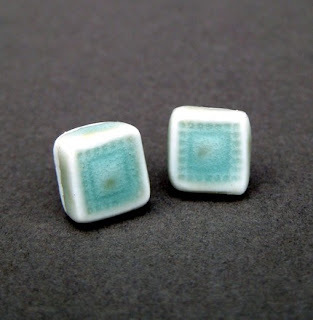 I love the look and feel of porcelain. 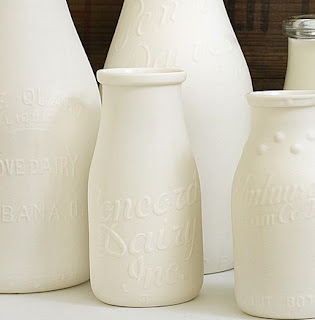 I was just telling my husband yesterday that when we move into the new house I can get a pottery wheel and start throwing some porcelain. 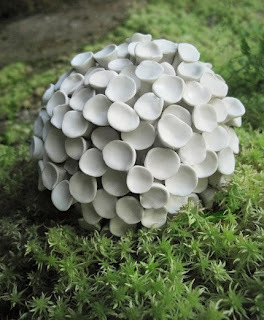 My goal would be to make a complete set of dishes in a natural white porcelain. It's such a beautiful perfect white. 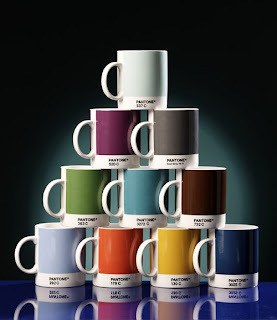 Here are a few etsians with an appreciation of porcelain as well. I was doing my morning routine of checking my favorite websites and blogs, came across this and had to share. 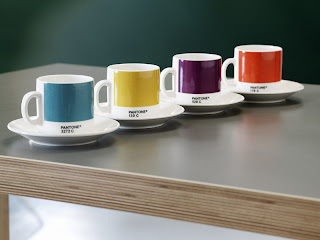 As a designer and lover of all colors (well, most colors! 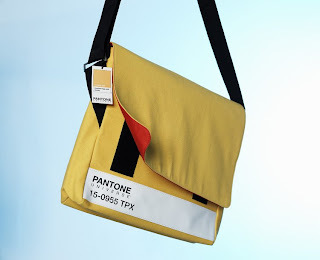 ), I really appreciate these Pantone products via W-2. 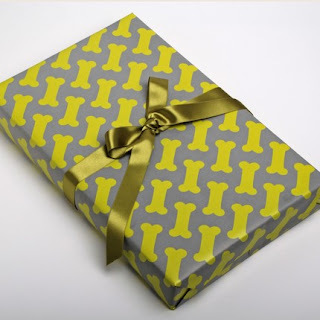 What a perfect gift to give that graphic designer, artist, interior designer, or just crafty friend that has good taste! Fun fun fun! I love the idea of having a pebble floor in a bathroom to massage your feet as you step out of the shower. A lot of tile manufacturers have come out with mosaic pebbles that can be installed on walls and floors. The only thing that I don't like about these pebble mosaics is the gap between the stones is rather large and you end up seeing as much grout as you do stone. 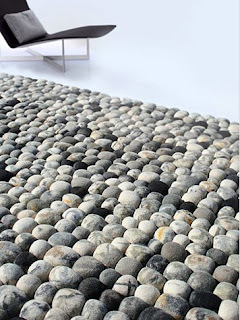 I think a nice alternative to those of us who don't want to go through the process of re-flooring our bathroom is this awesome river bed pebble rug from Ksenia Movafagh via nova68. The aesthetic of this rug is fantastic! 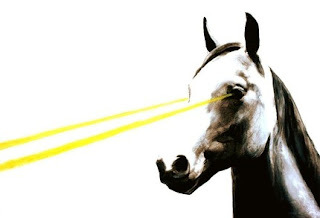 I found the horse print this morning and have fallen in love. 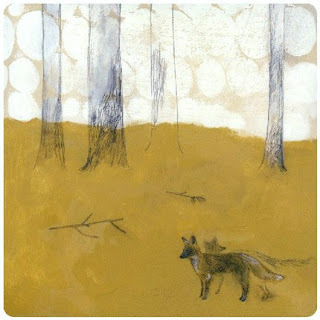 My theme today revolves around real images with fake additives. I love the combination of the two. 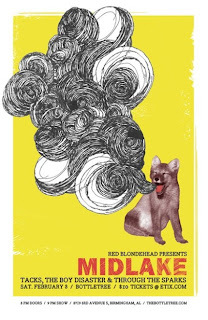 The Midlake posters is one of my favorite band posters and I love that it came out of my home town too! 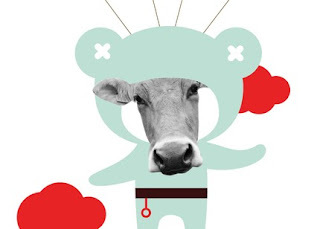 Oh, and the cow is just so sweet. 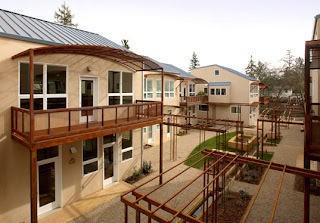 The Florence Lofts project in Sebastopol, California were designed by IBIS. The lofts themselves are attractive and comfortably modern, but what attracted me to them most was their LEED Gold certification. I'll let inhabitat's article below tell you more about the details that make it so "green". Energy needs are met with solar power, but Florence Lofts’ sustainable program is also found throughout the details of each structure. 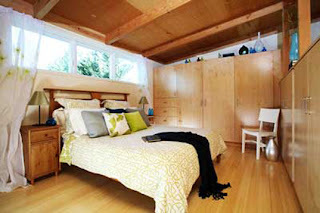 Bamboo floors make beautiful use of rapidly renewable materials. 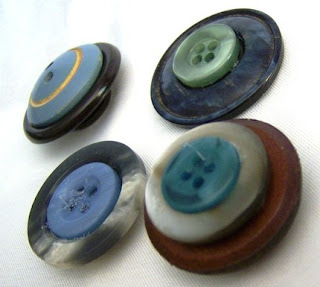 Post consumer recycled content is found in countertops, made by PaperStone. 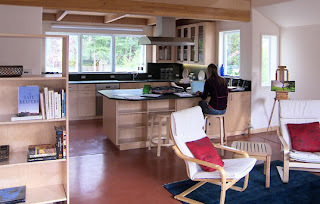 Concrete floors with hydronic radiant heat provide excellent thermal comfort. 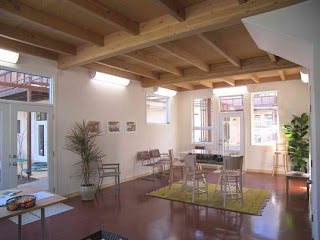 FSC certified wood was used throughout and more than 80% of the structural steel used to frame the homes are recycled. The impressive gray water recycling system is the first approved for large scale use in Sonoma County using recycled water from bathing, washing and laundry to providing 100% of the water needed for landscape irrigation. Given water shortages in Northern California, the estimated savings of up to 150,000 gallons of water per year go along way to conservation. In addition, rainfall and storm water brought on-site are cleanse naturally through a bioremediation system, reducing the pollutants and toxins that these two sources bring to streams and rivers and all paved surfaces throughout the project are permeable recharging the natural water table in the area. Founding Partner and Architect of IBIS, Steven Sheldon notes that “All materials were chosen from a collective consciousness perspective that balances financially sound and environmentally friendly decisions.” The Florence Live/Work Development is a prime example of a sustainable, livable community - a great place to live, work, and play within walking distance of the necessary amenities desired by any resident. 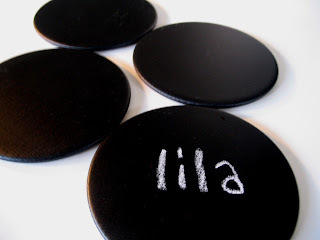 I love these cork tiles from UMA. They are sold by the set which includes 12 tiles (6 tan and 6 chocolate). 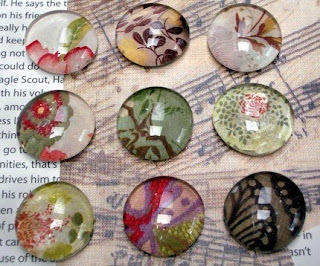 I love that you can mix them up to create all sorts of fun patterns...which might be a little dangerous in my household! 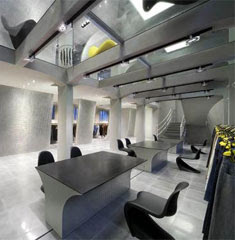 I love the stark interiors of this denim store in Milan. The yellows really pop against the monochromatic grey interior. 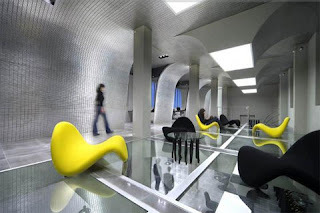 The curves and angles really complement each other to create a fun and visually stimulating interior. 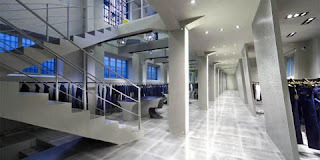 Meltin’ Pot, the italic denim brand, just openned a new store in Milan. 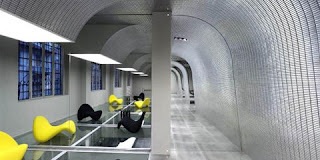 Fabio Novembre designed this monochromatic interior in an old industrial building with two levels. Angled surfaces covered with mosaic start at the lower level and last in the upper forming skylights on the lounge. 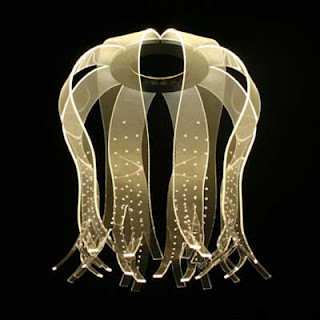 I so love these airLUCE lights by tranlogue associates. 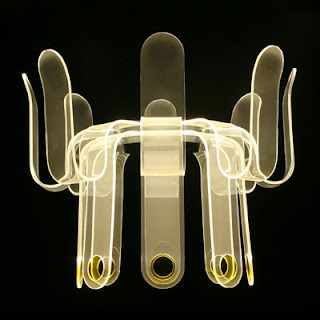 They all use LED as a light source and a material that consists of a surface-emitting acrylic board, making the entire surface to glow. Take a look at the other shapes offered in the series. Pictured is the Bellflower and Fruits & Flower, my two favorites. 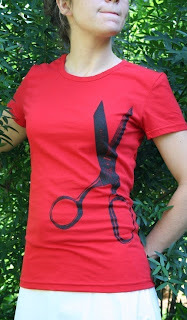 For the love of scissors...! 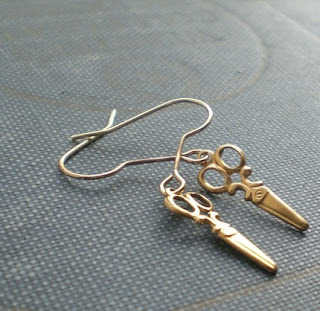 Ok, so I am not the only one that thinks scissors are awesome. 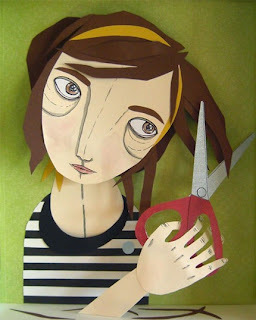 Check out these fantastic, favorite etsy artists of mine and their scissors art. 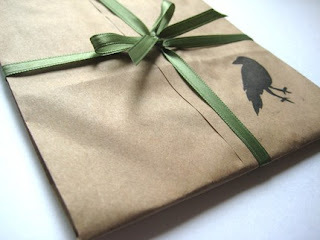 check out my etsy treasury featuring picks from my "etsy lunch hour series" here on peppermags! 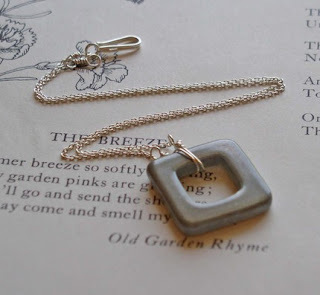 i love piecing together items from different series to create a treasury collage! it's so interesting that it always works so well together! The Covey stool from Herman Miller is one of my favorites. I love the lines of the paperclip legs and the comfortable seat has such a sweet shape and is available in fun finishes. 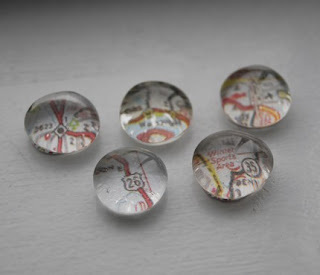 Magnets are so much fun...especially these magnets I found on etsy! 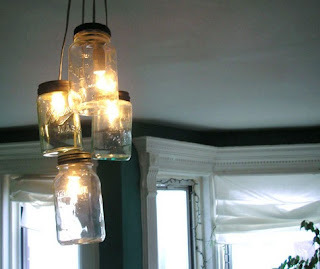 I really love these mason jar lights! It makes me think of being a kid and catching lighting bugs at my grandparents house in the summer. We would always put a little grass in the bottom of the jar in case the lighting bugs got hungry. Thinking back now I don't know that lighting bugs eat grass, but as a kid, a little grass would feed anything. growing up in the south, i have a special place in my heart for mason jars. 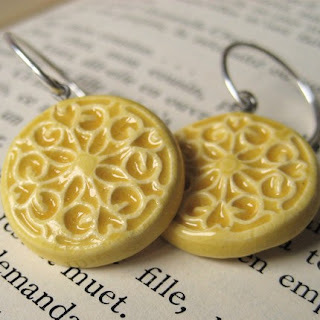 i enjoy them filled to the brim with icy sweet tea, but this fun project from d*s reader whitney gaylord may be my new favorite way to enjoy them. unlike most of our other diy projects, this one will require a bit of professional help (installing anything involving electricity is no joke) but the majority of the steps are easy to handle and will require only a quick call to your local electrician (home depot offers these services, too) to install the final project. click here for the full instructions or just click “read more” below - thanks to whitney for sharing! 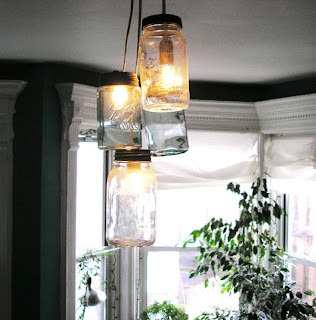 1. punch holes in each mason jar lid, large enough to fit the light bulb cords through (appx. 1 inch). as always, be safe and use gloves and a steady hand when punching holes. to punch the hole you can use either a hammer and nails (which you’ll need to then widen for the cords) or a larger tool that you can tap through. 2. unscrew the lid, insert the bulbs into each jar, feeding the cord through the holes in the lid. whitney suggests using a lamp kit that includes tension clasps to keep the bulb from sliding. 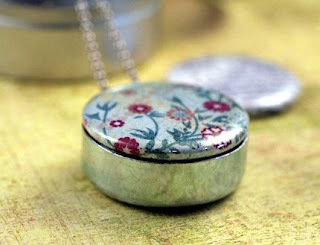 3. tighten the lid back on the jar and adjust the bulb to its desired height (using the tension clasps). 4. using a store-bought ceiling light plate- drill holes into the plate to pull all of your cords through (depending on how many jar-lights you will be hanging). pull the lights through, allowing enough cord to hang the lights at your desired height, and then tie a knot at the top to keep them from falling back through the ceiling plate. 5. contact your local electrician to install the lights into your ceiling- we do not suggest trying to install these yourself unless you’re a trained electrician. 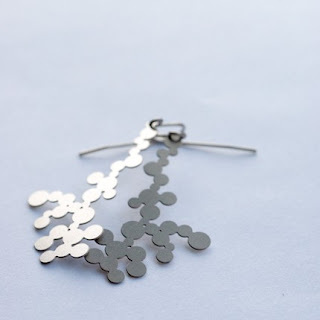 I found Nervous System while searching for modern jewelry on etsy and was blown away. 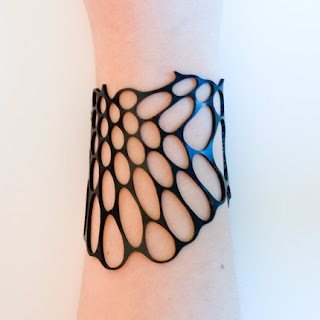 Their mission statement on their etsy shop states "Nervous System creates unique, modern jewelry combining rapid prototyping methods with industrial materials." 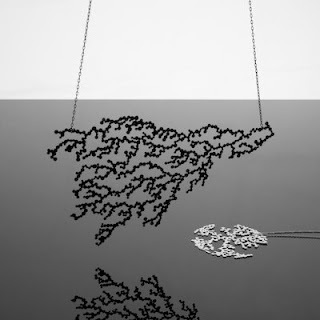 They use gold, stainless steel and silicon rubber in white and black to create these fantastic designs. Nervoussystem has been featured in the April edition of Metropolis and I have seen write up on a few other wonderful design blogs. 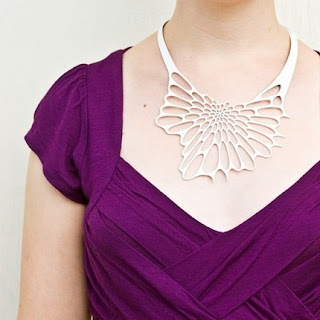 I think I need a Radiolaria necklace...yea, I do. Check out their etsy shop here and their website here where you can order a custom dendrite or full moon necklaces.